MasterPieces: LAST OF THE GADERENE | Warped Factor - Words in the Key of Geek. Chris Morley explores a Past Doctor Adventure appearance for the Master. It's tempting to suggest that something of sleepy English village life agrees with the Master. Where he had positioned himself as the Reverend Magister at Devil's End, Culverton in East Anglia knows him as Inspector Le Maitre (French for you know who) of Scotland Yard, as we discover in the Mark Gatiss Past Doctors Adventures novel Last Of The Gaderene. Once again the Master's stringing everyone along, playing at being the good man in order to get down to some clandestine evil. Now, we all know his alliances with other species don't exactly have a great track record. So what business does he have here? Proving that he hasn't really learned his lesson, he's assisting the Gaderene in finding new homes for themselves in more ways than one! New owners have taken control of the local aerodrome in not entirely unrelated events, & villagers are disappearing. Two of the alien interlopers arrived here during the Second World War, one taking it upon herself to lead the operation. Her helper offers his assistance simply because he wants to see humanity wiped out. Of course the Master's operated in a similar assumed position as an Adjudicator in Colony In Space, at least retrospectively. ASHE: Those sir, are the facts. The Interplanetary Mining Corporation has entered on a deliberate plan to drive us from this planet, which is rightfully ours. They've used violence and murder. MASTER: Do you have any proof to support these allegations? WINTON: We found it on board their spaceship. The claws, the projection equipment, everything. MASTER: Can you produce this evidence? MASTER: I see. Do you have anything more to say? Noted Pertwee enthusiast Mark Gatiss has in a sense precognitively borrowed a key element of his own televised Doctor Who début with The Unquiet Dead in shaping the Gaderene invasion - having them use human bodies as vessels in much the same way as the gaseous Gelth. Not that the Doctor knows anything of it at first! When first introduced he's on Xanthos, helping out in a rebellion now that his knowledge of the TARDIS has been returned to him. That, of course, as a reward for assisting his two previous selves in a bid to stop Omega. The Doctor's arrival in Culverton is as a result of a call his boss Brigadier Lethbridge-Stewart has received from old friend & former RAF ace Alec Whistler, who has a plane of the sort Gatiss would later reuse in writing Victory Of The Daleks. He's maintained an interest in goings on at the aerodrome since finding a strange crystal there as a young man - a leftover from the initial stirrings of the Gaderene invasion. Their leader & spokeswoman, Bliss, has been stranded since then, forced to take on a host body while her twin was mutated following an accident with their matter transmitter & now roams the nearby marshes. The shady Legion International carry on a proud tradition of such clandestine organisations as featured as far back as Spearhead From Space with the Nestene Consciousness staging an aggressive takeover of International Plastics. Remember also the aptly named BOSS, of The Green Death? “I learnt my entire moral code from Jon Pertwee [as the Doctor], and also what TV still should be about, which is a very Reithian thing. I learnt so much from TV in the best kind of osmotic way. 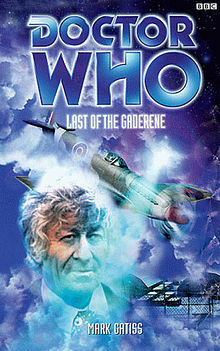 "Jon Pertwee was like the granddad I didn’t have. I loved his haughtiness, his clothes. He was like an amazing Catherine wheel of energy and talent, a funny man and very odd-looking: the perfect Doctor." 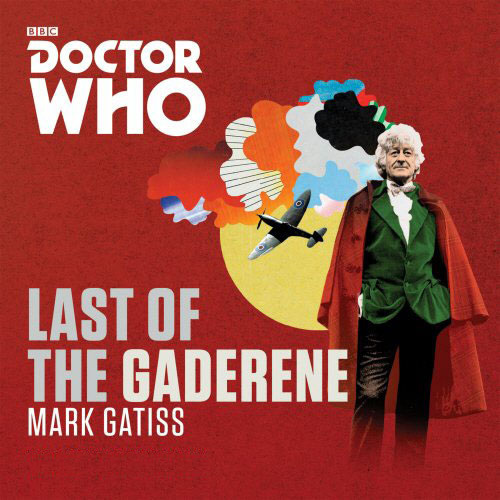 Last Of The Gaderene would become Gatiss' final Past Doctor Adventures novel, set between Planet Of The Daleks & the aforementioned Green Death. The wheeliebins with ambitions of universal conquest sit among the Ogrons, Sea Devils, Axons et al in the long list of those the Master's had brief flirtations with as collaborators. DALEK: You will obey the Daleks! MASTER: You know as well as I do that this man does not fear death. I want him to suffer a much worse punishment. Look, my skill and cunning has brought about this war which will make you the masters of the galaxy. Leave the Doctor with me, and let him see the result of that war. Let him see the galaxy in ruins. Let him see the planet Earth, that he loves so much, in ruins, then exterminate him. DALEK: Very well. He will remain your prisoner until the war is concluded. Then you will bring him to us and we shall exterminate him. We shall now return to our base and prepare the army of the Daleks. In return for his efforts the Master usually either wants to raise merry hell or some kind of power, in the above case ruling Earth allegedly in the name of the Daleks. Indeed, during his previous attempt at village life he sought the awesome power of a Daemon! MASTER: As my will, so mote it be. MASTER: Hearken to my voice, oh Dark One. Ancient and awful, supreme in artifice, bearer of power, I conjure thee. Be present here at my command and truly do my will. Aba, abara, agarbara, gad, gadoal, galdina! "Og ot erus saw bmal eht tnew yram taht, erehwyreve dna, wons sa etihw saw eceelf sti, bmal elttila dah yram!." Making the Gaderene seem small fry in comparison, you might think. Nonetheless a harmless tick-box exercise for all children of the Seventies!